TRIBUTES were paid to south Asian soldiers who lost their lives in the First and Second World Wars on Monday (11), Commonwealth Day. 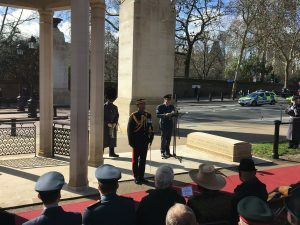 Peers, war veterans and officials gathered at the Memorial Gates in central London to honour the foreign soldiers who served for Britain during the wars. The Memorial Gates, which were inaugurated in 2002, mark the contribution of an estimated five million soldiers from the Commonwealth – which includes the Indian subcontinent, Africa and the Caribbean. 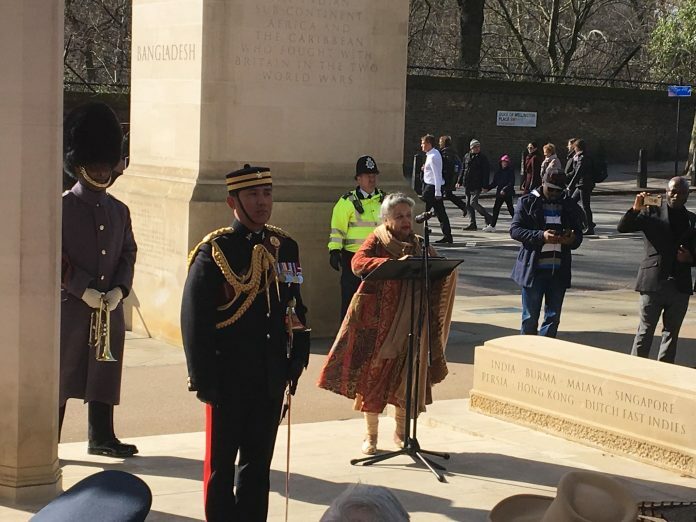 Baroness Shreela Flather, who is a patron to the gates and was a driving force behind the memorial, told the guests why the annual service was “special” to her. Describing her hope that the gates be seen as a “living memorial,” Baroness Flather spoke of her father who volunteered for WW1 as a stretcher bearer. “I don’t think my father fully realised what he was volunteered for,” she added. As well as helping to create the memorial, Baroness Flather also acts as the life-president for the Memorial Gates Council (MGC). Lord Karan Bilimoria, newly appointed as chairman of the MGC, told guests he hoped the gates acted as an inspiration to people across the world. “[The gates] act to teach our youth what these amazing individuals did,” Lord Bilimoria said. Speaking to Eastern Eye after the ceremony, Lord Bilimoria revealed the event was poignant as he had been involved since the gate’s inauguration in 2002. 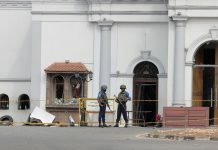 “Anyone who drives through the gates, including myself when I make my way to parliament, notices them and how beautiful and special they are,” the life peer said. Lord Bilimoria hopes more people are made aware of the sacrifices by foreign soldiers for the UK. Acknowledging that not many in Britain are aware of the history, he believes more needs to be done. “It is so important that people, including the British Asian community, know what the soldiers did for us,” he added. As well as a minute’s silence to pay respects to those who lost their lives during the wars, the Archbishop of York was on hand to lead prayers during the service. 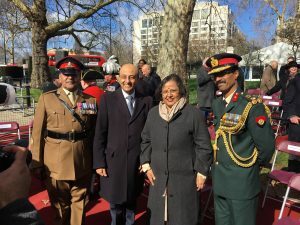 Other guests included the Indian High Commissioner, Ruchi Ghanashyam; secretary-general for the Commonwealth, Baroness Scotland; Lord Jitesh Gadhia and the Lord Mayor of Westminster, who all laid poppy wreaths during the service. 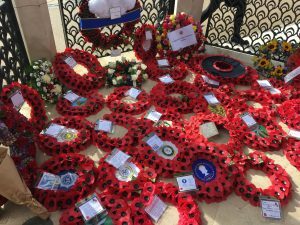 Dr Rami Ranger laid a wreath on behalf of the British Sikh Association. 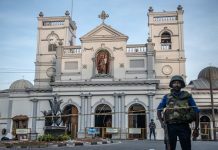 He told Eastern Eye about the importance of being able to pay his respects. 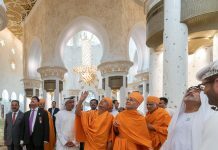 Lord Howe, the minister of state for defence, said the large turn-out at the event demonstrated the strong feeling evoked by the Memorial Gates.